Where did I hear about these concealers: I usually buy my gel eyeliner from L.A.Girl at Dischem and I’ve always followed them on Instagram because they have great products at very affordable price. 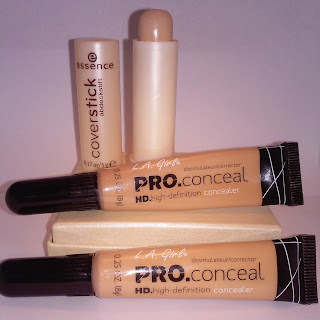 One day I went scrolling through Instagram and saw these concealers on their profile, I then immediately went on YouTube to checkout some reviews on these products and then that weekend I went down to the mall, went into Dischem an grab a few concealers and since then I’ve always been using it. I think this is a pretty good product an I’m very happy with it and what makes it even better is that it’s super affordable which I love even more however, it doesn’t really cover up my fine lines as I hoped it would but they are very good with covering up breakouts and redness. 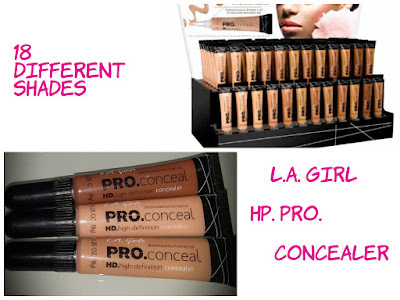 Also, they are great for contouring and they not oily at all, they are more of a demi matte kind of concealer and are super easy to apply and very user friendly. Despite that it doesn’t cover my fine lines that much, I do really love this products because it does cover most of my imperfections and they are buildable so maybe I should just try an add little more to my fine lines and take it from. They are super cheap an affordable, they come in 18 different shades so you will definitely find the shade you need, I have them in 3 different shades which are pure beige, medium beige and chestnut. They are a must try product and in my case it’s a must have product for me. PRICE: I’m not 100% sure but I think it’s about R45 each. I will double check the price and if it’s incorrect I’ll change to the correct price. Essence is a very well-known brand that is used by millions and millions of people all around the world. I have always been a fan of this brand! 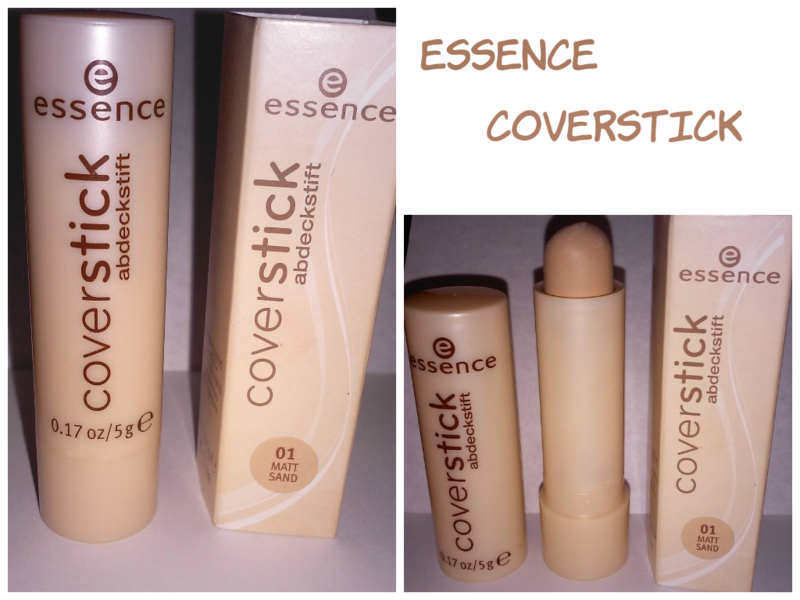 I have been using this brand for so many years that whenever I’m in the cosmetic section I’m always checking out essence first to see what new products they and that’s how I came across the essence coverstick concealer. The coverstick quickly and reliably covers up small spots, redness and impurities of the skin. Conceals skin imperfections with a fine matt finish. The formula with allantoin calms the skin. Ideal for all skin types and it’s dermatologically tested. I think the packaging is so cute and it’s great for when you on the go but it’s not my favourite. This is a matte concealer but it’s just way to dry on my skin and it looks very cakey which I don’t like so I think this would be great for someone with oily skin however, it does have good coverage and it’s very smooth when you apply it but I won’t recommend it if you have dry skin, I’d then suggest you try their liquid concealers with are actually very good. These cover sticks come in 4 different shades and I currently have it in the 01 MATT SAND. I just recently saw that they come in the PURE SKIN range as well so, they have the anti-spot one but they only have it in 2 shades which is disappointing because they way too light for my skin tone and I’m a huge fan of anti-spot products. Essence is an amazing cosmetic brand and they are very affordable and I always recommend their products but this particular product I’ll only recommend for people with oily skin but if you have dry skin and would love to try then go for it and let me know how it goes and if it works for you. You can purchase essences products at any Clicks or Dischem store.